The beauty of the Canary Islands and the cinematic power of the DJI Mavic Pro 2 drone are both on display here in this marvelous video by Paride Musci. It was shot on the island of Lanzarote, the fourth largest of the group (third most populous), which lies to the northeast of Fuerteventura. Lanzarote has about 210 km (around 13 mi.) of coastline, 90% of which is spectacularly rocky. Its interior landscape includes two mini mountain ranges and the El Jable Desert. 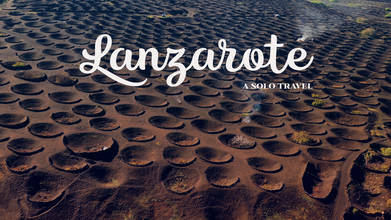 Description: After spending a week in Fuerteventura I spent another week in Lanzarote, always alone. A trip dedicated to shooting with my drone on an island not so easy due to the important presence of tourists. Also sunny days here and not too windy, except the last days due to the presence of completely cloudy skies. As usual I had to go over and over again in some places and try to anticipate the crowds.